Pinball Slot Machine | Is this Classic IGT Slot Really Worth Your Time? 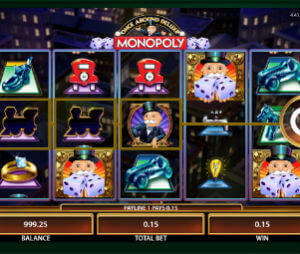 It often surprises us how far slots have come from physical machines. Back then, we were happy to have a single feature in the box which usually has a 3×3 playing field with one payline, and having five in total was a luxury which you had to pay to enable. The IGT’s slot machine isn’t quite that bad, but it’s still very visibly dated. You won’t find this game anywhere online – not unless the developers choose to update a large number of their slots into digital versions, which doesn’t seem likely at the point when we’re writing this review. So if you come across one of these machines, you’ll be treated to a small playing field, a single payline, and a shot at what is a relatively fun special feature. As this is a physical machine, and IGT keeps their cards close to their chest, we don’t have any information regarding volatility or RTP to share with you, as it varies between various casinos and states. What we can say that it’s a very popular game and recently (2017), IGT launched another version called Double Diamond Pinball slot (see the video below). Special Feature – Honestly, it’s the only thing that we can point to and say ‘you should play it because of this’. 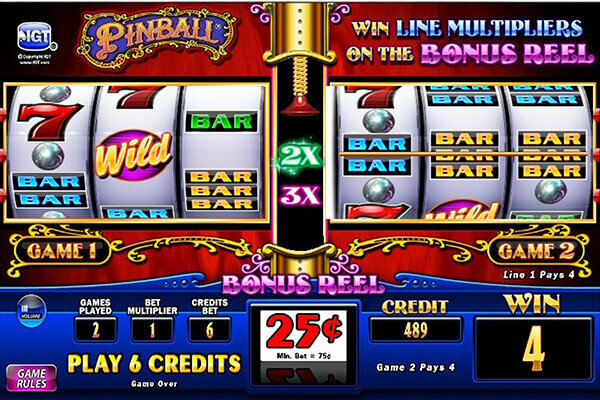 Beyond the bonus, you’re just faced with pressing the spin button in hopes of getting a win, and you’re bound to have better odds with numerous other slot machines, both physical and online. As it stands right now, Pinball is a relic of a bygone era, though an updated version would no doubt attract quite a crowd eager to give it a try. Hint hint, nudge nudge, IGT. Why not to play Pinball Slot Machine? Boring gameplay – It’s more than just the gameplay, but it’s a convenient catch all. Again, having a 3×3 playing field and only one payline is really bad for modern standards. It has one bonus that’s difficult to activate, and the pays, while decent, simply don’t make up for the fact you lose a lot more than you win. For the time it was made, it was awesome, and we have no doubt there are people who look at it fondly. But in 2018, the title is simply outdated and boring, and there’s little we can really do about it. I mean there are plenty more exciting and yet classic Vegas casino slots to be found. Unknown RTP – As this is a physical machine, we have no idea what its volatility or RTP are really like. You’d have to play an insane amount of spins to determine that, so only the developers can provide that information, but IGT isn’t talking. RTP can also be adjusted by individual casinos, so it may be prudent to try and find it out somehow, though casinos are often tight-lipped about these things for some reason. There’s one special feature in Pinball – which is the reason why IGT’s release is called that. You have to play at maximum credits to activate the special feature, which isn’t that high for standard machines, though it may reach higher numbers in high limits rooms. At that point, a Pinball logo landing on an active payline on the third reel will reward you with four or five pinball shots, and each shot rewards you with a random cash prize. It was great for its time, but it, sadly, has not aged that well. Compared to the depth and complexity of modern titles, which also have the convenience of being available online at any time you want to play, it simply cannot compete.